Another short update on the big farm project. Mainly, two images of the main heavy equipment work completed. 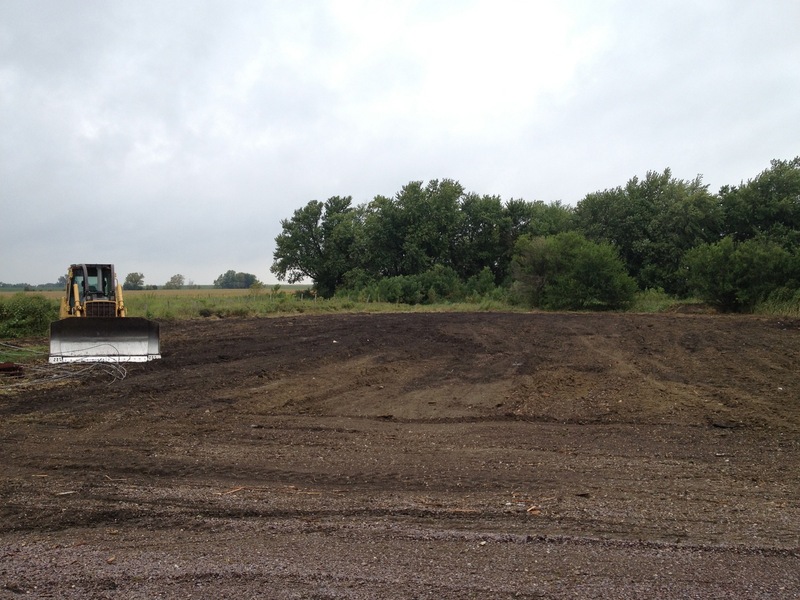 You get a good look at the old barn site as it sits now … pretty much empty. Off to the left you will see the remnants of a failed grape experiment, which is the next thing to go (the start of that project was rained out this past weekend). 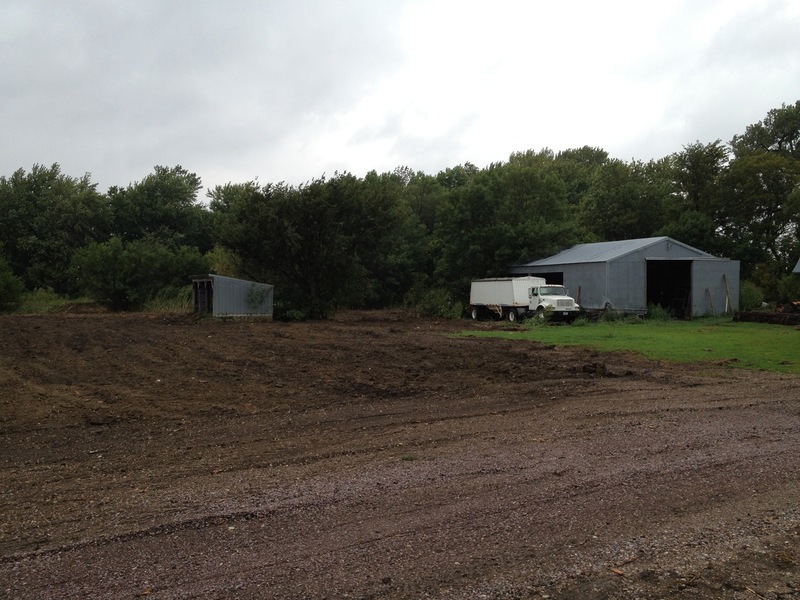 This is the site where the machine shed will hopefully start going up this winter. Here you get a look at the other side where two pole sheds currently sit. There used to be the foundation for an old hay barn here, but no longer. The semi sits on a concrete slab at the moment and it is actually leveled off instead of a drop off where the dirt had settled over the years. What is going to happen with this area is still up for discussion, but more-than-likely some small cattle operation will be using at least one of the two sheds here which would mean that my dad, brother and I will be reprising our roles of putting up electric fence in the future. Clearing out the weeds was a huge undertaking and there is still a lot of work left to clean everything up and plant in some grasses to keep the weeds away (and provide foliage for the cattle). That will be for another time. It is a good thing that my dad saved the old disk because that thing will be getting dragged through his area so that the better one can be saved for the fields.